Imagine sitting at a table and being served a gold-plated menu. 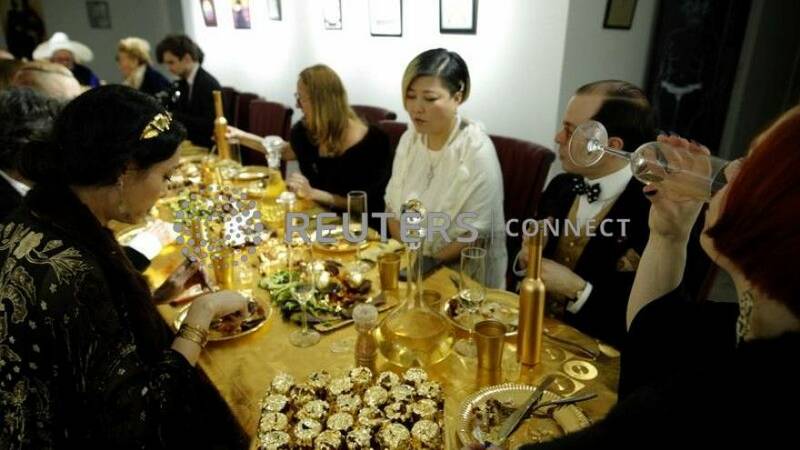 Twenty guests were treated to exactly that: a Midas-touched dinner at the Vanities Gallery in Paris on Thursday. 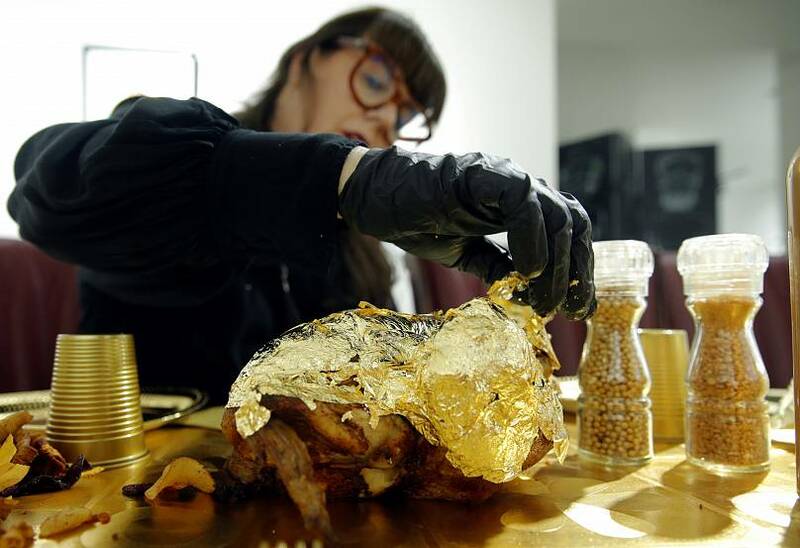 French artist and performer Frederique Lecerf, who prepared and hosted the decadent dinner complete with gold-covered dishes, billed it as an artistic performance. It was part of a wider exhibition at the gallery that celebrated extravagance and exuberance. The guests, true to the occasion, were dressed in their fineries. 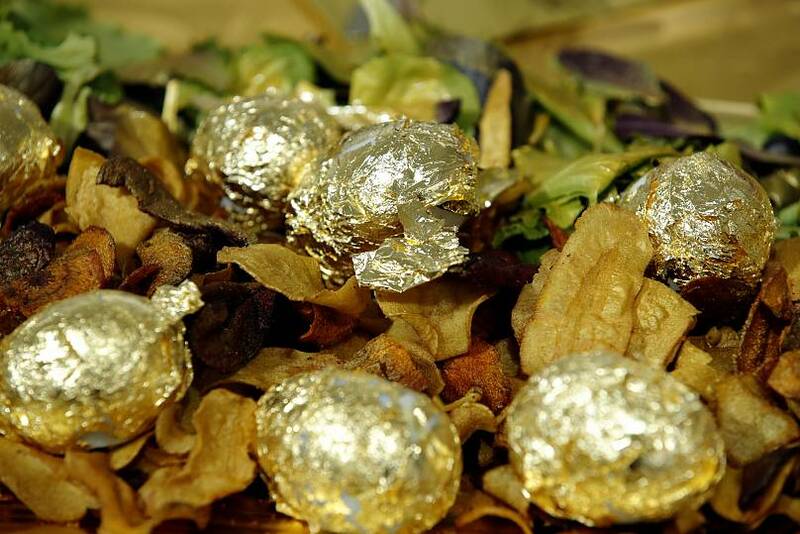 Under all that glittered, the food itself was simple: chicken and hard-boiled eggs, vegetable crisps spray-painted with gold, and gold-covered pastries for dessert. Lecerf said the gold was fair trade and that each sheet cost around €2.50. The dinner, priced at €40 per person, was sold out within three days. Lecerf has been hosting these "golden dinners" since 2004. She said she was interested in illustrating the transience of her art through the dinners since nothing remained the next day except the experience. The performance was organised by Thierry Tessier and Victoria Zhong, the curators of Vanities Gallery. They said the idea was to critique the gold market, but at the same time, to show the importance of the material in contemporary art.